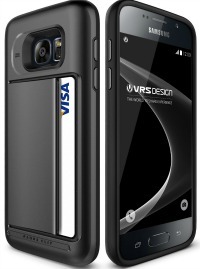 Head to Amazon.com where today only you can snag the Damda Clip Wallet Case for Samsung Galaxy S7 for just $11.99 (regularly $23.03) with FREE Super Saver Shipping! This wallet case is thin but practical, is military standard drop test certified, and is made with high-grade TPU and PC. You can choose from the following colors: champagne gold, dark silver (shown), pearl white, rose gold, and satin silver. Best card holder i’ve seen. This Amazon best bargain of the day is valid May 20 only and while supplies last.